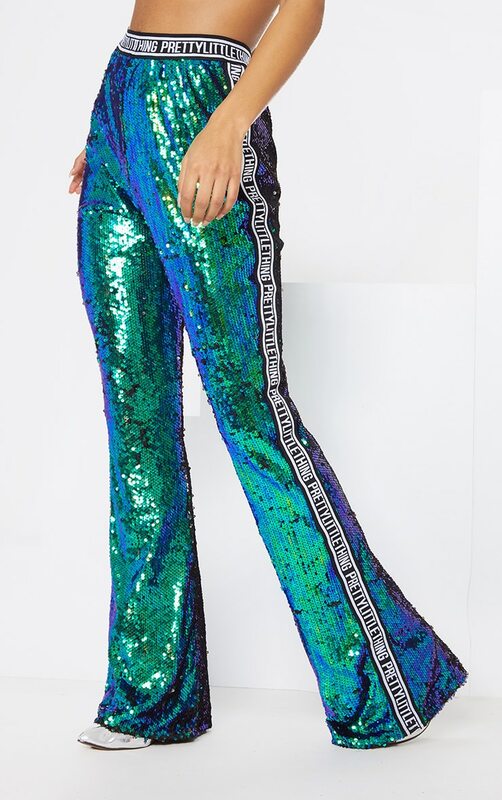 These flared pants are perfect for adding some glitz into your wardrobe. 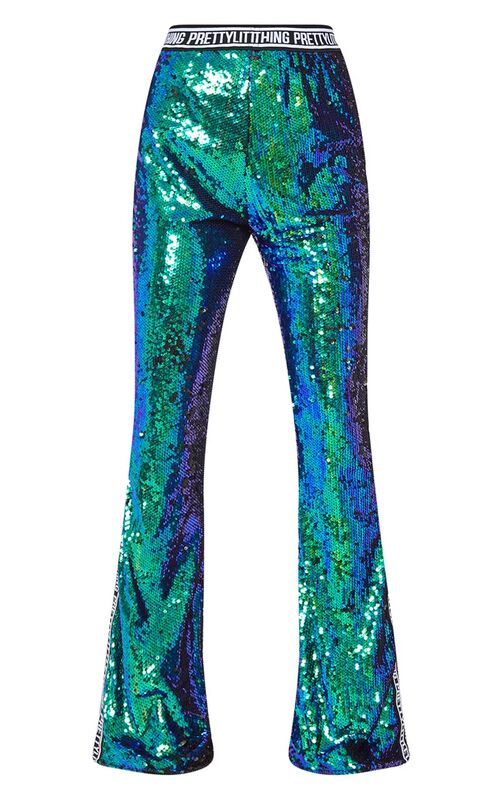 Featuring green iridescent sequins with a contrasting PRETTYLITTLETHING elasticated waistband and sides. Style these pants with a crop top and heels for a seriously killer combo.